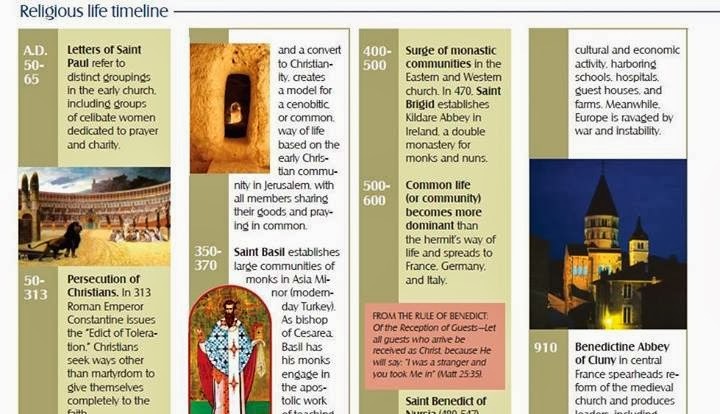 Here's an interesting timeline about the history of religious life. It can be downloaded from the site as a .pdf. Post by VISION Vocation Guide. Although it doesn't say on the poster (oops!) we are aiming this day at 16-30 yr. olds, approximately. 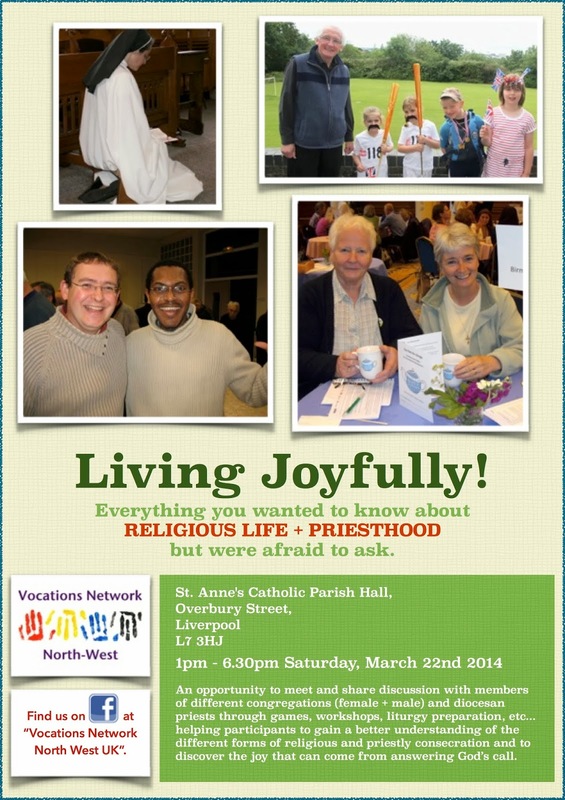 There are lots of religious Sisters, Brothers and Priests in our area who are keen to share with others their passion for Christ, for his message and for their ministry and community life. They are indeed Living Joyfully the calling they have received from God in the manner described by Pope Francis in his encyclical "Evangelii Gaudium".